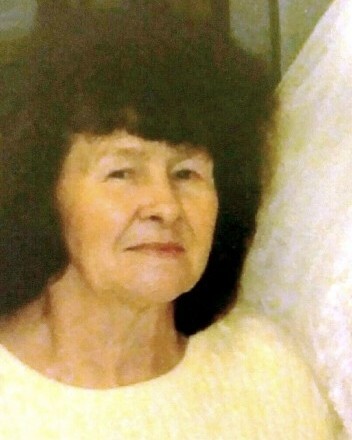 Perkins, Flo, age 75, of Franklin, passed away Sunday, March 31, 2019 at her residence. She was born December 17, 1943 in Sault Ste Marie, Canada to Arthur H. and Mary E. (Clayton) Gorman. She was a sales associate for K-Mart. Flo is survived by her children, Jerry (Kathy) Heffelfinger, Patricia Mullins, Mary Lovell, Tomi-Ann (John) Mentz; grandchildren, Donnie (Susie) Mullins, Tosha Wallace, Scott (Krystina ) Lovell, Teia (Eric) Durham, Tiffany (Justin) Durham, Tamra Moore, Fred Perry, Mike Perry, Brad Crouch, Brandi Perry; 20 great-grandchildren; 10 great-great-grandchildren. She is preceded in death by her parents; husband, Clifford Perkins. Visitation will be held Saturday, April 6, 2019 from 11:00-1:00 pm at Baker-Stevens-Parramore Funeral Home, 6850 Roosevelt Avenue, Middletown, OH 45005. A Graveside Service will follow at 1:30 pm at Butler County Memorial Park with Chaplain Tim Rech officiating. Interment will be at Butler County Memorial Park. Condolences may be sent to the family at www.bakerstevensparramore.com.